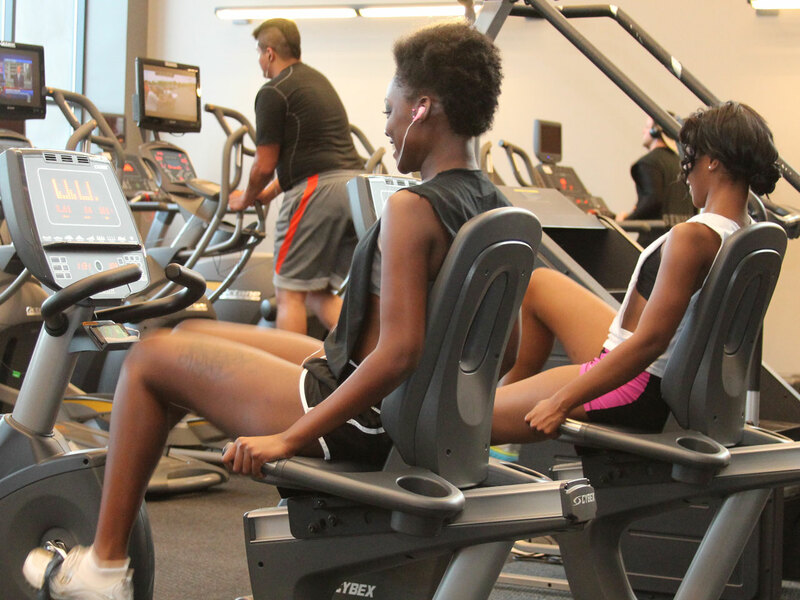 Enjoy our beautiful workout facility with state-of-the-art equipment, walking track, gym and more. The FRC is free to all Heartland employees and to students enrolled in credit courses. To use the gym or weight room, you must show your Heartland ID at one of the two desks located on the lower level. Public access: Membership to the FRC gym is available through Community Education. Smart Steppers: The Smart Steppers walking group provides use of the indoor track to all community members. You just need to register by calling the Outreach office at 309-268-8188. You can walk anytime the FRC is open*. As a Smart Stepper, you will benefit from group interaction and motivation. *Walkers are discouraged from using the track from 1:00 p.m. to 5:00 p.m. because it's in high use at the time by student athletes. The FRC is located on the east side of the Normal campus adjacent to Millennium Avenue.